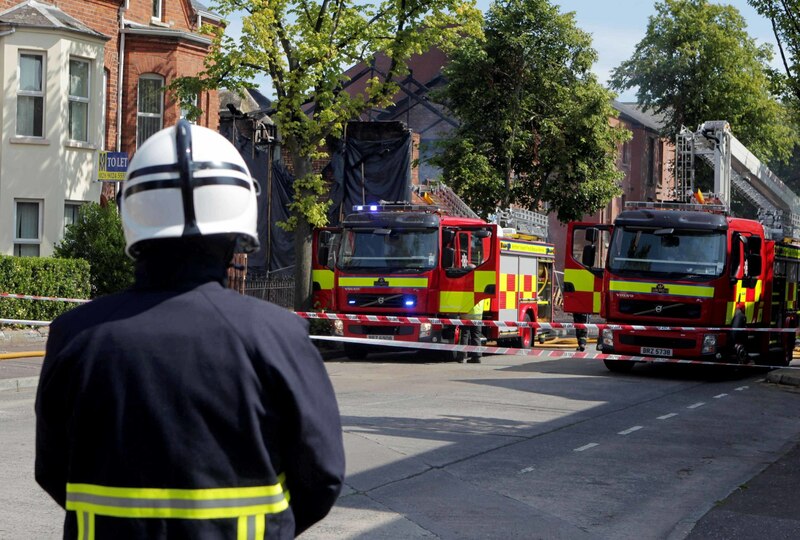 An investigation into allegations that firefighters made fraudulent overtime claims has instead revealed how the Northern Ireland Fire & Rescue Service was itself operating without proper guidelines for “non operational” overtime payments. Auditors from the Department of Health’s internal audit unit, Business Services Organisation (BSO), were called in last October to investigate “alleged irregular” overtime and expenses claims which had been submitted by firefighters overseeing a NIFRS recruitment programme. The firefighters, who supervised trainees taking part in the Wholetime Recruitment Exercise (WRE), had submitted overtime and expense claims totalling £98,500, the majority of which related to a two week period last August. Auditors were called in to investigate concerns over “irregularities” in 100 claims submitted by 30 firefighters after it was alleged that some staff had claimed overtime and expenses payments for supervising the recruitment course, despite also being paid for being on normal duties. The investigation comes just months after Northern Ireland’s Auditor General, Kieran Donnelly, warned the fire service that it must improve efficiency savings, including a significant reduction in overtime payments. NIFRS is expected to face even more damning criticism in June when a senior member of staff, who has made serious allegations of financial wrongdoing within the organisation, gives evidence at an industrial tribunal hearing. The fire service is expected to contest the allegations. The Wholetime Recruitment Exercise (WRE) involved firefighters from across Northern Ireland supervising trainees in Multi-Stage Fitness Training (MSFT) classes and Personal Qualities & Attributes (PQA) assessments in leisure centres in Belfast and Omagh last summer. As the firefighters supervising the courses were being drawn away from normal duties it was agreed by the senior member of staff in charge of the project that full-time would be entitled to claim two hours overtime beyond the actual daily duration of the course. 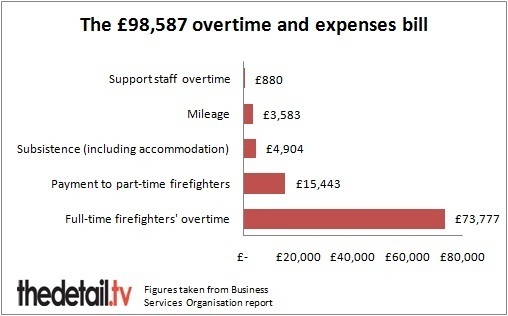 Firefighters claimed £90,100 in overtime and a further £8,486 in subsistence and mileage. Despite an agreement being reached between the officer in charge of the training and union leaders no approval had been sought from the Chief Fire Officer (CFO) or NIFRS management board. While auditors had only been asked to investigate irregularities in 100 claims, concerns were expressed that the total figure of alleged fraud could potentially be significantly higher as an additional 200 overtime claims had still to be processed at the time of the investigation last October. The alarm on the overtime claims was first raised when it was discovered that one part-time firefighter had claimed payment for taking part in an emergency call-out while he had also supposedly been acting as an overseer on the training project. Investigators found the firefighter and other colleagues had each claimed 12 hour payments for overseeing the recruitment course at Omagh Leisure Centre on September 2nd. However when the matter was investigated it emerged that the course had only lasted five hours and had ended at noon. Despite being paid for an additional seven hours, firefighters were allowed to go home rather than returning to normal duties. When auditors asked to interview the firefighter at the centre of the controversy they were told he was “unable to attend”. When auditors queried the double payment further they were told the firefighter’s superior claimed he may not have actually have attended the training day at all. •	One firefighter claimed 12 hours overtime for overseeing a training session on August 29, despite the fact that the class had not taken place because it fell on a bank holiday. Investigators found that the same firefighter claimed another 12 hours in overtime payments for overseeing a training day, despite having been on duty at the same time. •	The report found that one firefighter claimed 56 hours in overtime payments, but when the payments were investigated it was found he hadn’t been on duty for 21.5 hours for which he’d claimed. •	Investigators also found that two firefighters had claimed 36 hours overtime for supervising training days, despite already being rostered for day duties. The same individuals also claimed additional 12 hours overtime for night-time duties. Auditors also expressed concerns over fire service management procedures after it emerged that the organisation had a policy for overtime payments for firefighters engaged on “operational incidents” but had no similar overtime policy for firefighters engaged on “non-operational” day-to-day duties. Investigators were informed that all claims submitted by firefighters had been approved by their superiors at the end of each day. The officer in charge of the programme confirmed that he’d checked all overtime and subsistence claims to ensure firefighters had attended the relevant courses but had failed to check whether firefighters were already being paid for being on normal duties. When interviewed, management and staff repeatedly referred to “custom and practice” and “local agreements” which had operated within the fire service for decades. Auditors were repeatedly told during interview with firefighters that “a shift is a shift”. The report states that when investigators weren’t provided with any written evidence to substantiate the ad hoc arrangements. Senior officers admitted to auditors that they’d failed to include projected overtime payments in the programme’s budget. Instead a whiteboard in a training centre was used to monitor overtime and expenses payments. “The organisation’s financial control over the wholetime recruitment project has been inadequate. “The payment arrangement put in place is not supported by organisation policy or a written local agreement and was not appropriately approved. It calls for an end to adhoc/local payment arrangements and recommends that the fire service should begin fraud awareness sessions for staff. The Detail understands that as a result of the investigation NIFRS has now overhauled its response plan to irregular overtime claims. However when contacted by The Detail a fire service spokeswoman was unable to clarify what fraudulent payments, if any, had been uncovered by the investigation and whether any member of staff has faced or is likely to face disciplinary measures. “The report on the outcome of this investigation has been shared with our sponsoring Government Department, the Department of Health, Social Services and Public Safety (DHSSPS) and it is currently being considered,” she said. Fire Brigade Union spokesman Jim Barbour insisted that his members had been under clear instructions from their superiors when claiming overtime pay. “In terms of what the firefighters claimed, they were given instruction on a daily basis,” he said. “This was a one-off recruitment process. “They were given instruction by senior officers about what to claim and how to claim. “But the other side of the coin is that we were massively understaffed in terms of Wholetime (fulltime) firefighters.